I’ve always had a very one-dimensional view of “art.” You draw or paint something, you hang it on a wall, and people look at it. Rudimentary, I know, but that’s what I’ve always thought. 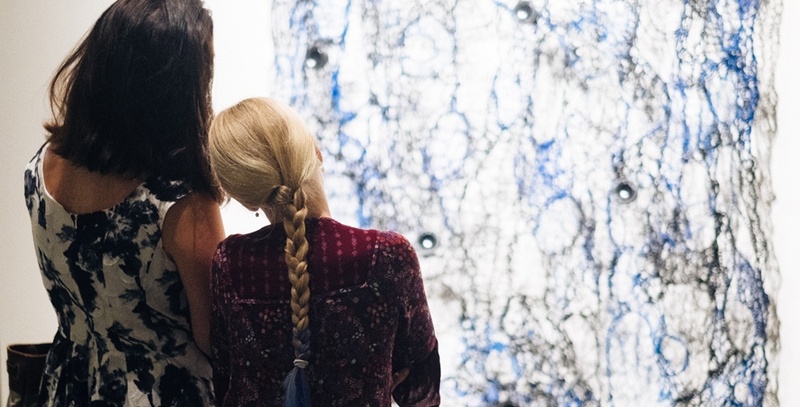 Visitors admire Julianne Swartz’s “Black and Blue Weave” at the members’ preview for “Synthesize: Art + Music.” Image courtesy of Dennis Ho/MOCA Jacksonville. Art has never really resonated with me, probably because I am not a skilled painter, drawer, sketcher, etc. I’ve always wanted to connect with art, but was never able to find a gateway to the art world. However, in the last five months working with the Museum of Contemporary Art (MOCA) Jacksonville, I have been introduced to how diverse, flexible, and engaging art can be. 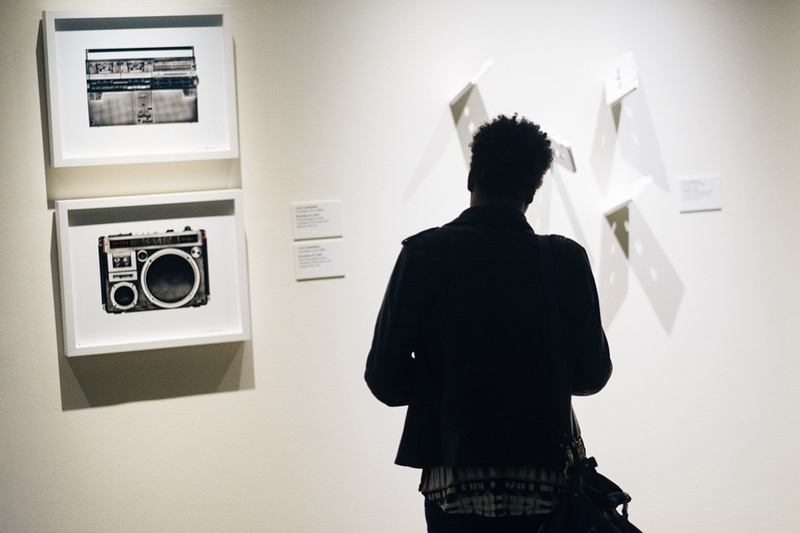 This month, MOCA Jacksonville premiered its featured exhibition “Synthesize: Art + Music,” and just like that, the proverbial gate swung wide open. I’ve discussed in previous blogs the role listening, writing, and experiencing music plays in my ability to create at Brunet-García. I kept thinking to myself, “How are these artists going to make these different components work together?” I was excited. 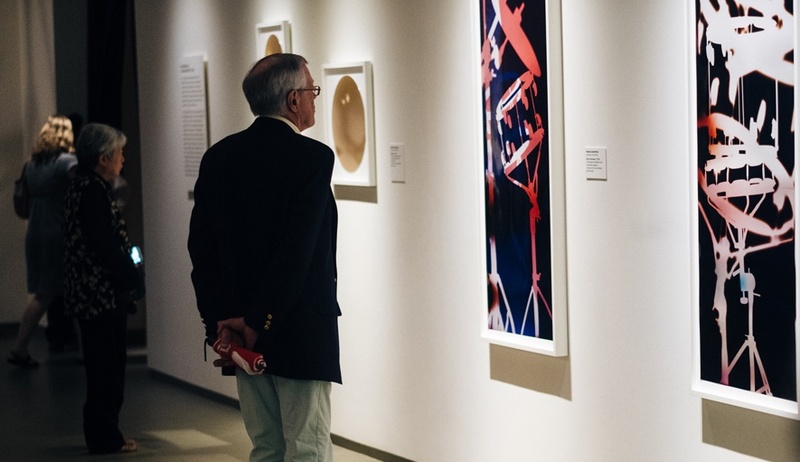 One of the luxuries of working on this side of the exhibition—not just being a viewer, but participating in publicizing the exhibition—is having a rich understanding of the conceptual and technical aspects of the artists’ work. Learning about how an artist sampled music and synced the samples to movements of hands or how speaker cables are the primary material for a piece spoke to the music nerd in me. This peek inside the artists’ brains paid off when I got to see the exhibition. A visitor checks out Lyle Owerko’s work at the members’ preview for “Synthesize: Art + Music.” Image courtesy of Dennis Ho/MOCA Jacksonville. Jaime DeSimone, curator of MOCA Jacksonville, was kind enough to include me and several others from Brunet-García on her list for the members’ preview. Immediately following her opening remarks, I hustled up to the third-floor gallery for the sights and sounds I’d been waiting to experience. Disco balls as heads, glass drum sets, vacuum harmonicas, and cassette tapes plastered onto walls are just a sample of the wildly creative and interesting combination of works. My favorite portion of the exhibition are the images of boom boxes by Lyle Owerko. I grew up at the tail end of when boom boxes were relevant, but even in the early ’90s they were still badass. Owerko’s images reminded me of when my brother got Oasis’ “(What’s the Story) Morning Glory?” on cassette tape for Christmas, and we listened to it over and over; these pieces took me right back to that moment. 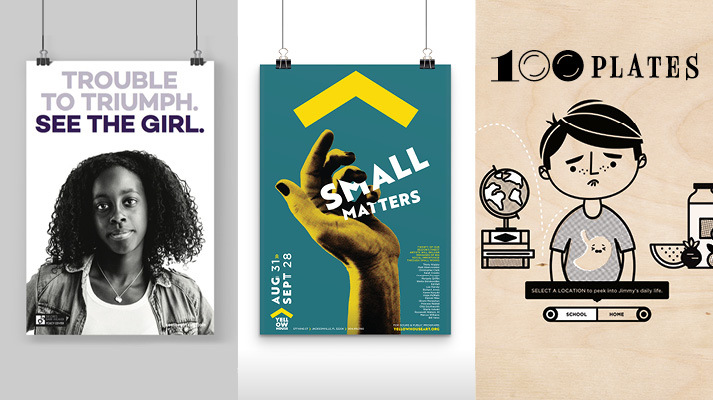 The images look like digital illustrations but are in fact real. Apparently, Owerko has collected many boom boxes over the years, which is so cool. A visitor views Farrah Karapetian’s work at the members’ preview for “Synthesize: Art + Music.” Image courtesy of Dennis Ho/MOCA Jacksonville. Having experienced Synthesize: Art + Music, I have a better understanding of how art can appeal to all the senses. 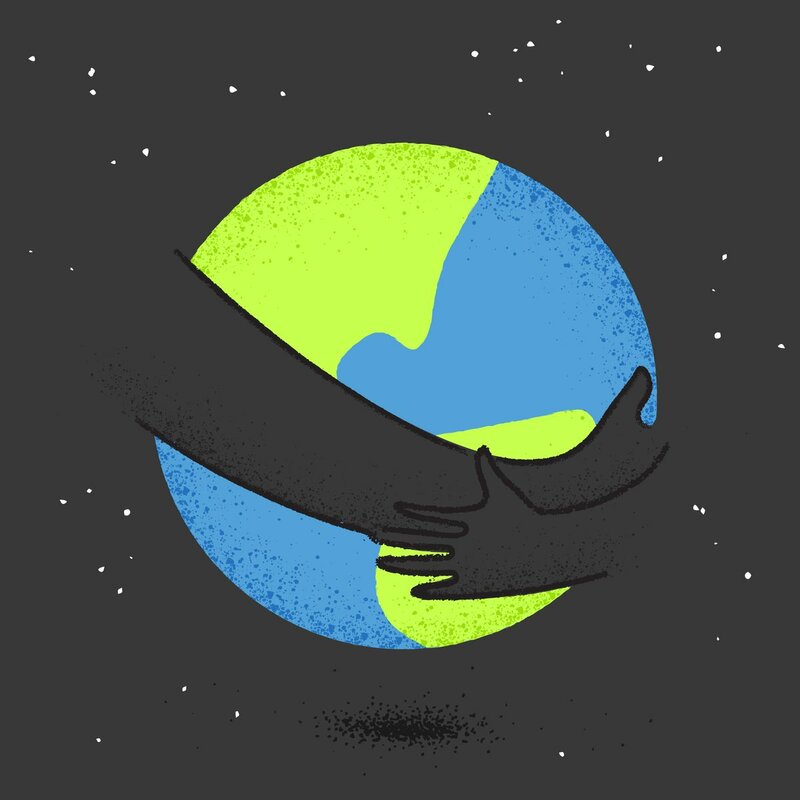 My view of art is no longer at the surface level; it’s deeper than that. 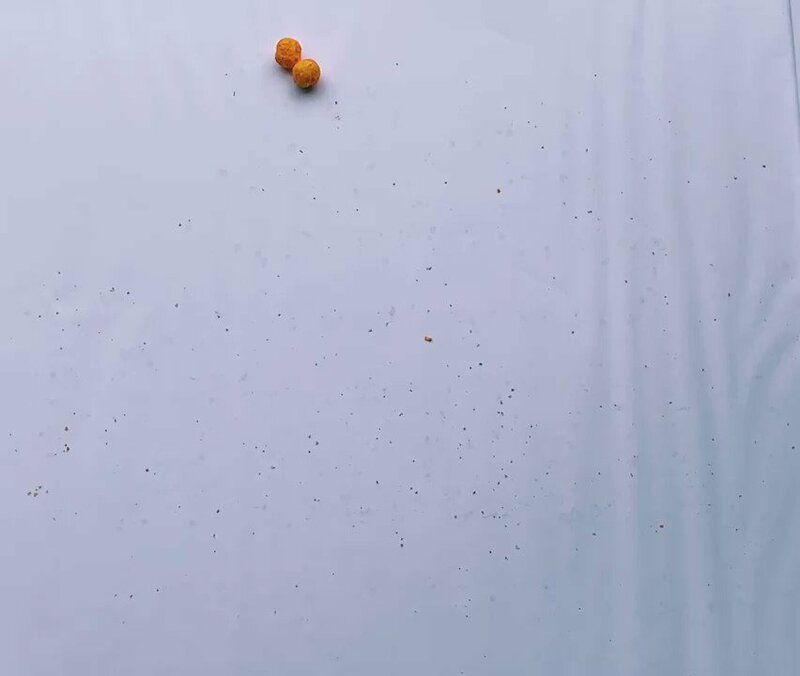 It’s layered. Am I an art aficionado now? No, and I’m fine with that. Do I look at art differently now? Absolutely. I look forward to seeing the great things MOCA continues to do for the cultural community here in Jacksonville as they lead the charge in providing rich creative experiences for all Jacksonville residents and visitors. 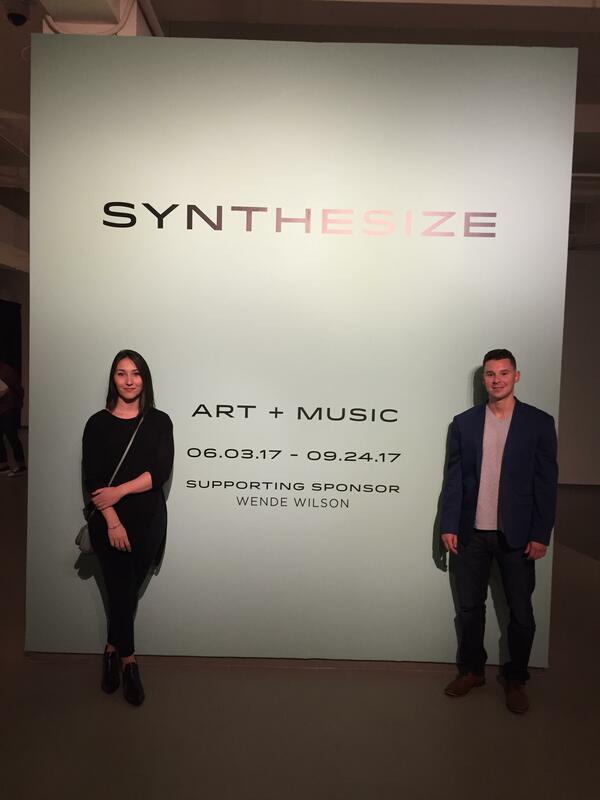 Art Director Bianca Borghi and Account Manager Chad Villarroel check out the “Synthesize” exhibition at MOCA Jacksonville. Next StoryWho could have saved me from my unhealthy eating habits?